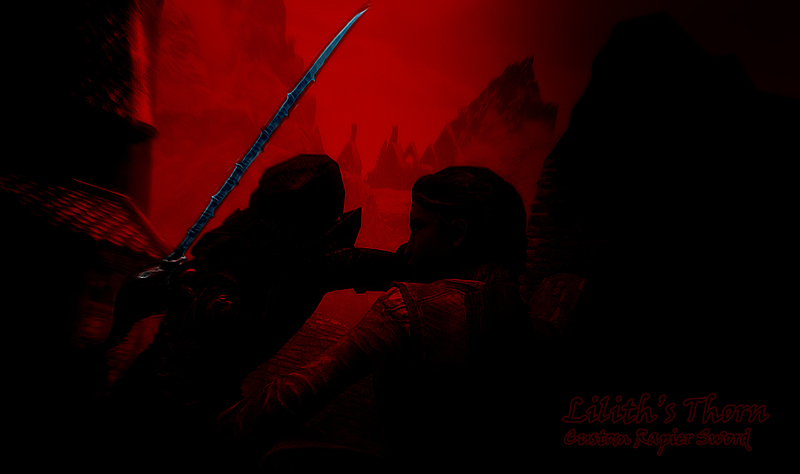 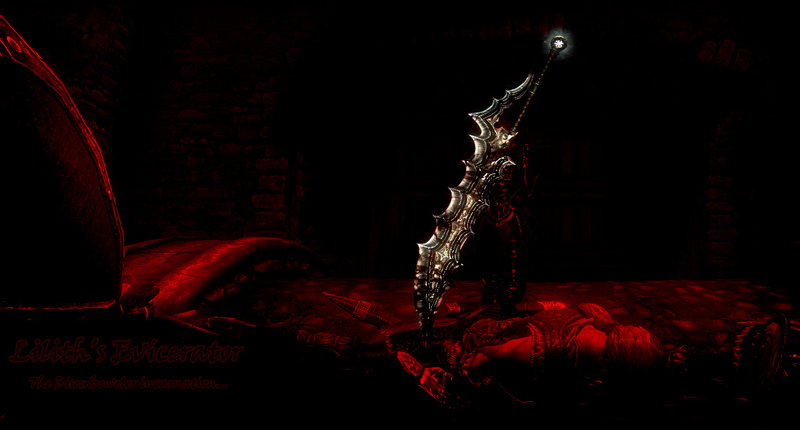 This mod adds a wicked sword, and greatsword , blessed by the mistress of the night, Lilith's razor into Skyrim. 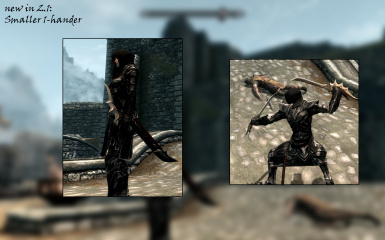 This is a weapon mod created by wiikki﻿ that I have ported over from oldrim to work with special edition as such I have changed nothing about the mod. 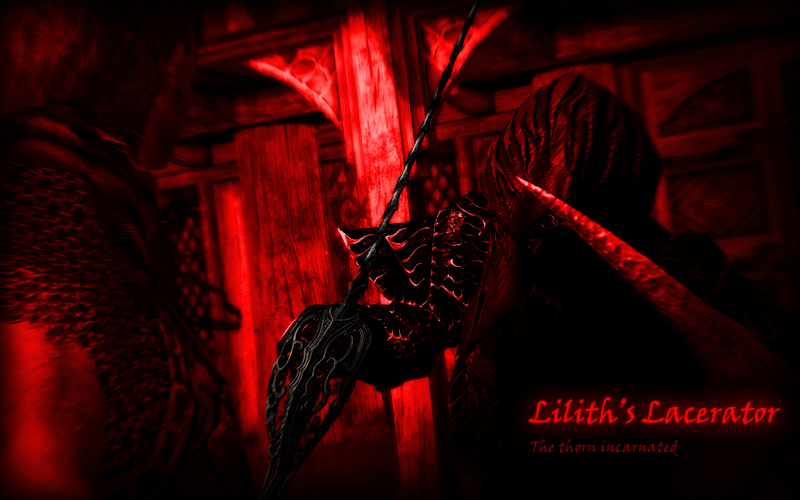 The page for the oldrim version can be found here. 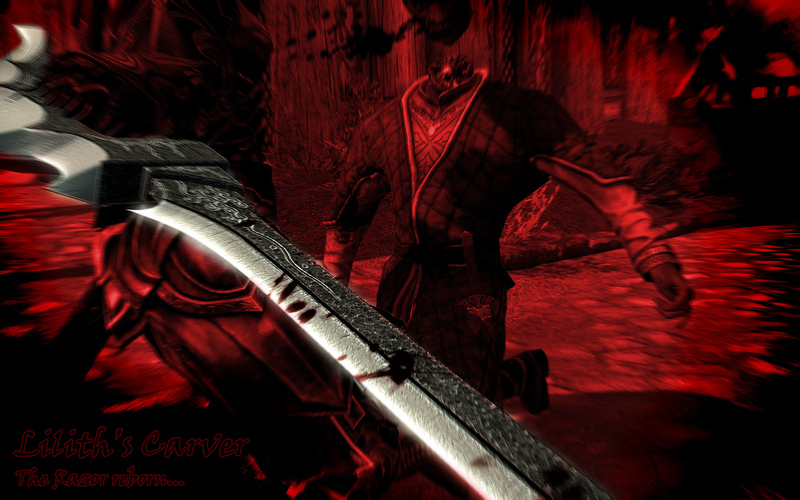 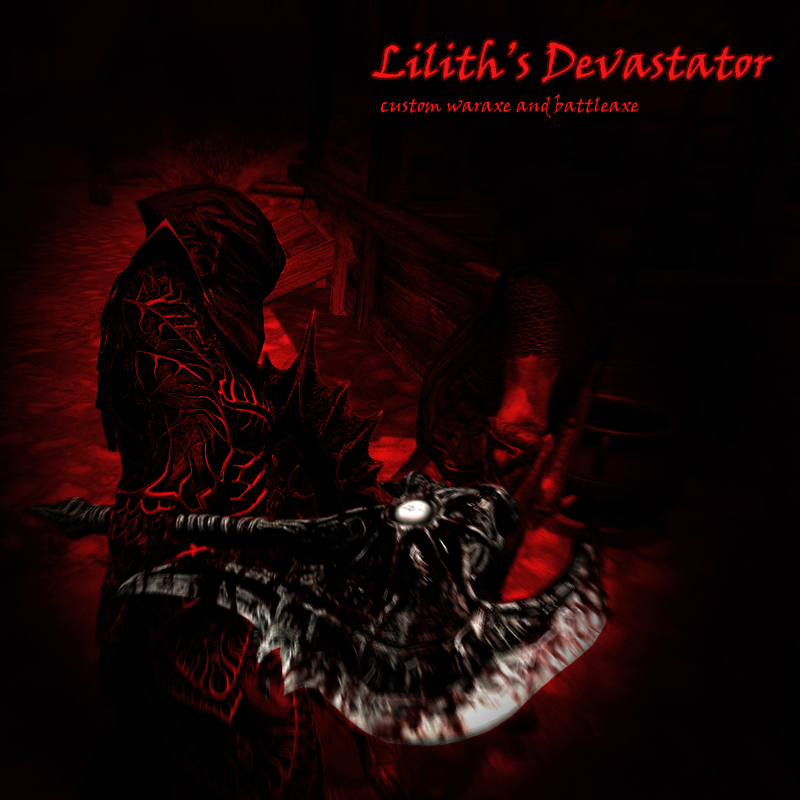 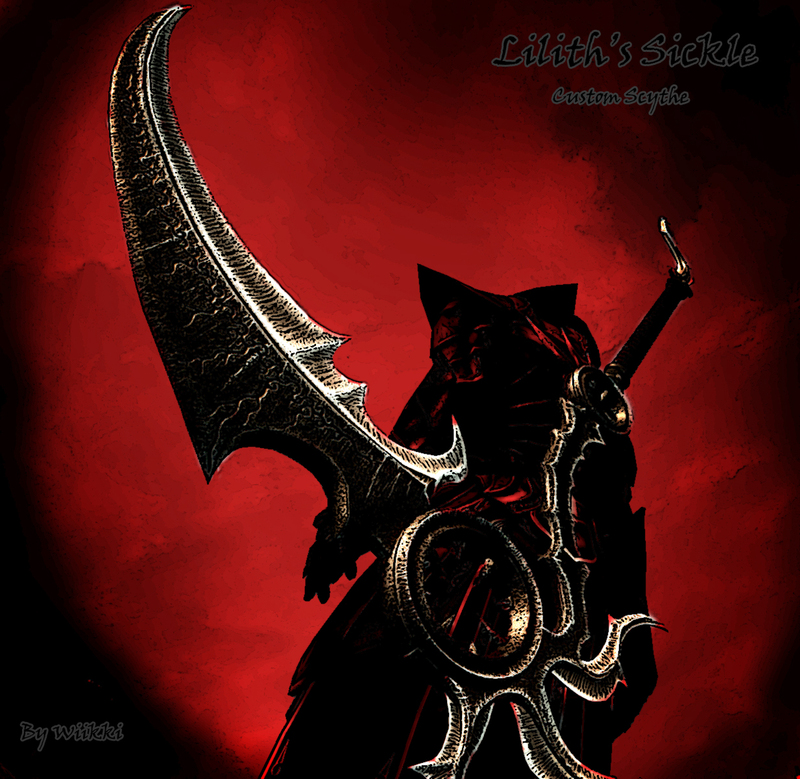 What you will find in ths mod is a complete remake of his first Skyrim weapon mod Lilith's Razor. 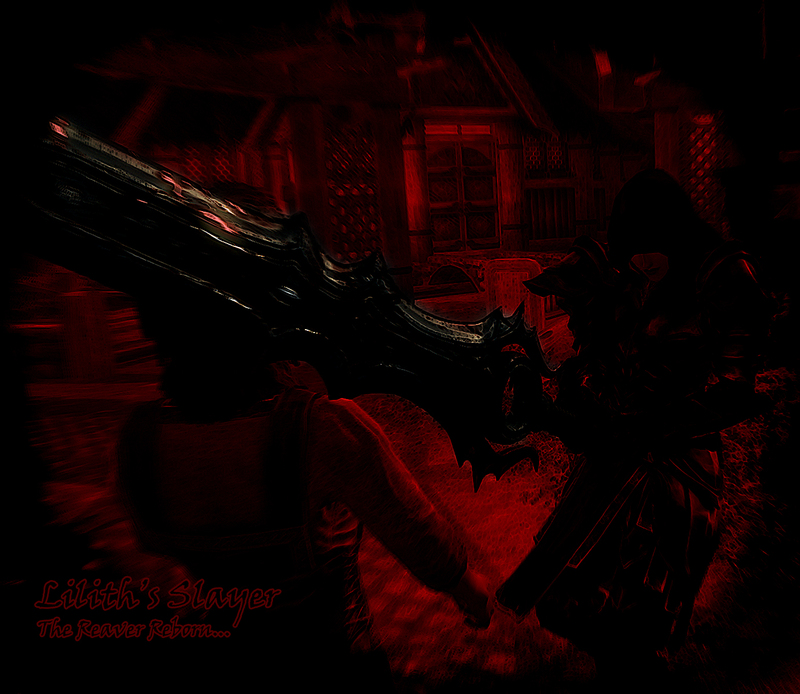 The reason for this remake is quite obvious. 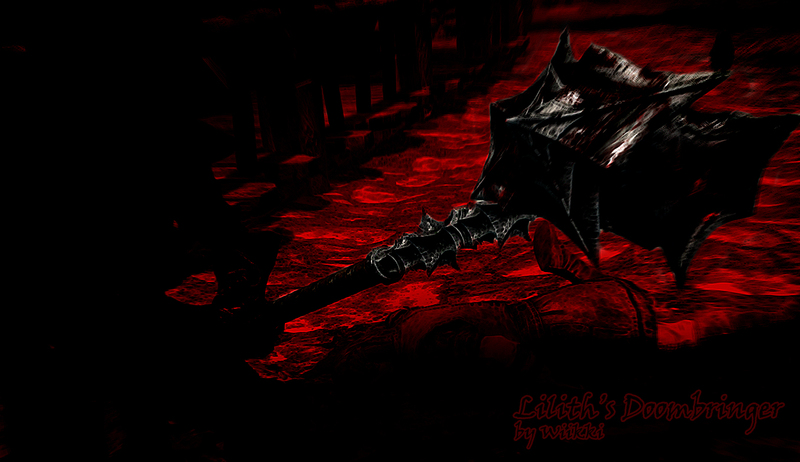 It looked bad. 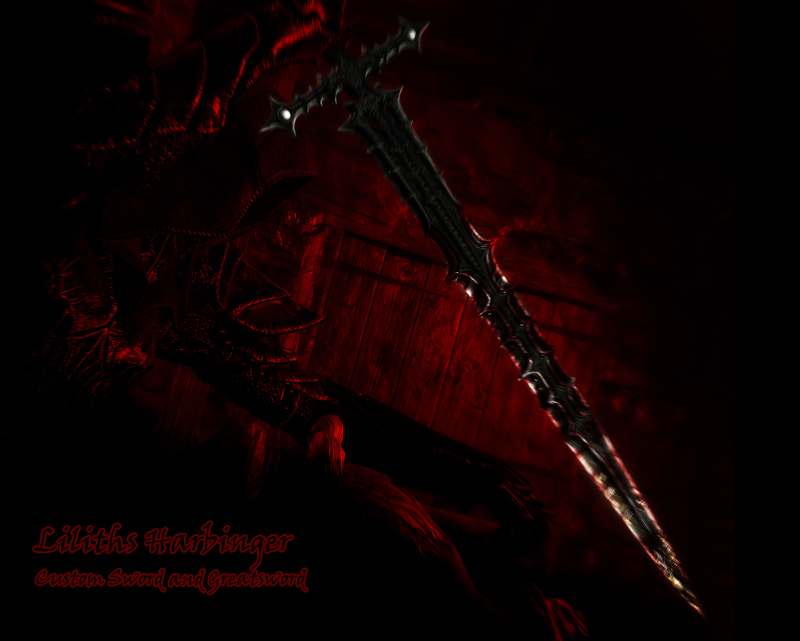 At least compared to his newer ones. 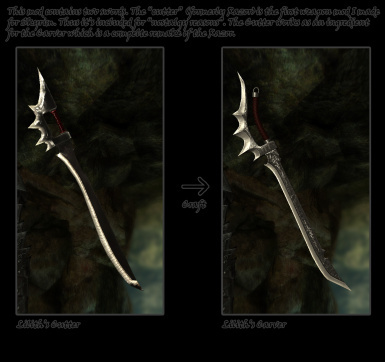 However, for "nostalgia reasons" he has included the good ol' razor as well this time named as "Lilith's Cutter" that works as an ingredient for the remake itself (Orcish smithing).Thanks to the Carver's light weight, slim shape etc. 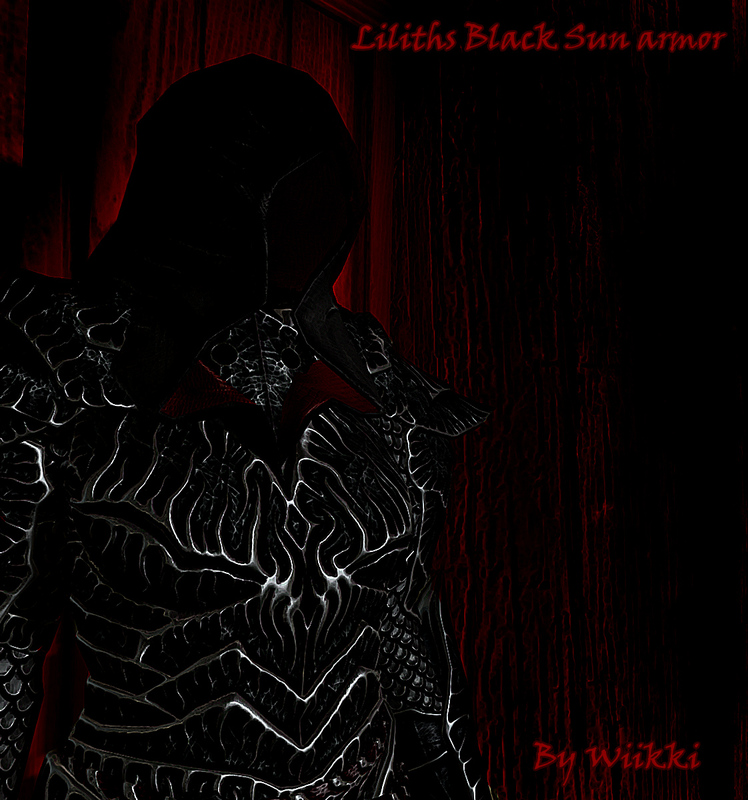 it has high attack speed but lacks power though crit damage is increased (which unfortunately doesn't scale with weapons normal damage). 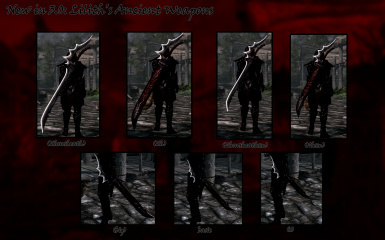 All of the weapons require daedric smithing. 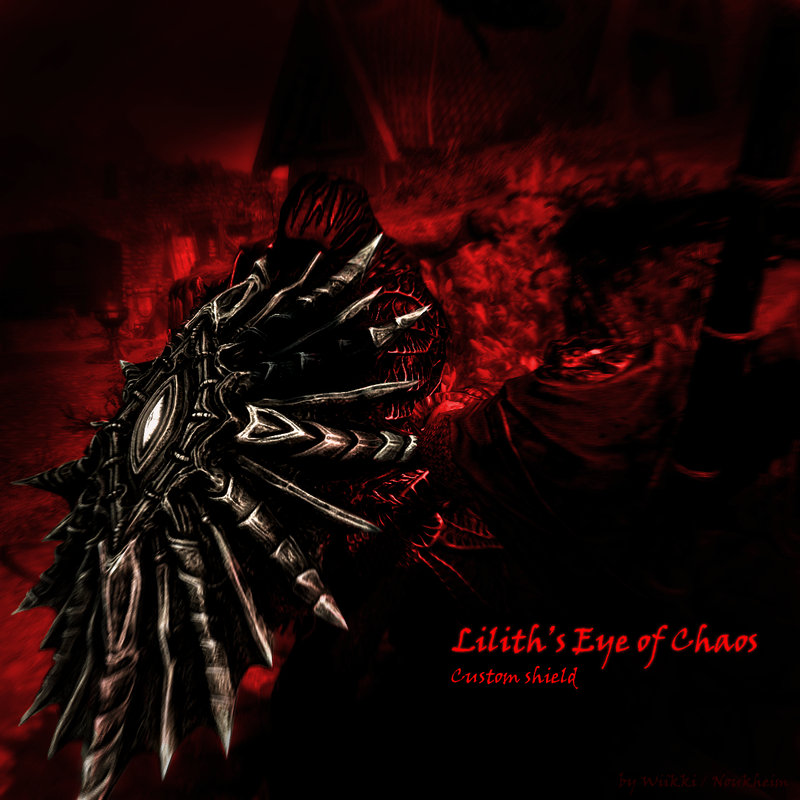 They can only be crafted.